Governor Lincoln Chafee says the 38 Studios debacle "remains an economic development crisis" for the state. It's been almost four months since Kingdoms of Amalur: Reckoning developer 38 Studios declared bankruptcy, but Rhode Island is still struggling with the fallout. Governor Lincoln Chafee is now considering a plan to restructure the state's economic development system, which currently falls under the aegis of the Rhode Island Economic Development Corporation, and to create a new agency "to oversee broader economic policy and development." Unfortunately for the EDC, it approved a $75 million loan guarantee to Curt Schilling's startup, for which the state was left on the hook when the studio went under. For the tiny state of Rhode Island, with a population of just over a million people and the second-highest rate of unemployment in the U.S., that's a serious albatross. 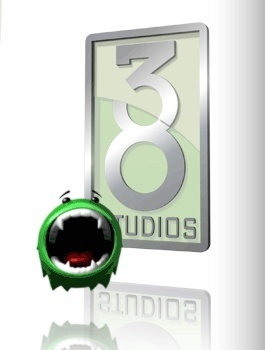 "38 Studios was and remains an economic development crisis for the state of Rhode Island," Chafee said in a statement. "I will continue to digest the report over the coming weeks as my administration works to put in place the best structure for sustained and long-term business growth." Former Governor Donald Carcieri was a big booster of the 38 Studios loan early on, saying in 2010, "I am confident that 38 Studios will serve as a touchstone for growth in the interactive entertainment and digital media industry." Earlier this month he accepted responsibility for it but also suggested that a lack of proper oversight once he left office may have contributed to its failure. Schilling himself has also blamed Chafee, Carcieri's successor, for the company's collapse, but others have pointed the finger at internal "dysfunction" and a lack of effective and experienced leadership as the primary source of trouble.